Now that we are moving full steam ahead of dyeing at our mill DYED Cable and Lace Scarves are beginning to hit the shelves. Currently we have Lilac Purple, Egyptian Blue, and Sage Green available. Keep your eyes peeled as more colors options are added in the coming weeks. We are excited to add some DYED Cable and Lace Scarves back to the website. First batch of colors available: Lilac Purple, Simply Sage Green, Sapphire Blue. Stay tuned as we continue to ramp up dyeing and offer more colors! The last few pieces of our DYE equipment have been up and running the last two weeks and we are happy to begin offering the BOLD Survival Socks again. In the coming weeks we will be adding more colored socks as well as dyed scarves and knit hats. 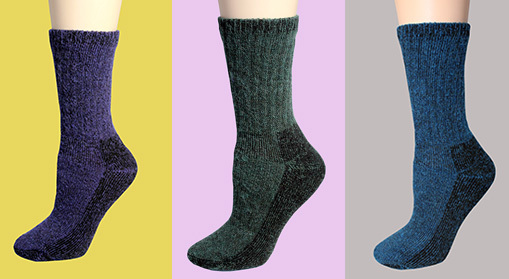 BOLD Survival Socks are now available in both size Medium and Large, in Plum Purple, Sapphire Blue, and Forest Green colors. 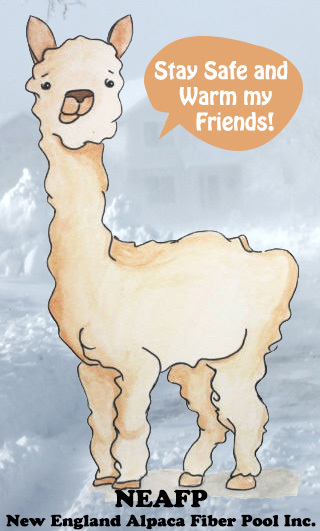 June NEAFP Note: Watch us shear our alpacas! Head on over to June's NEAFP Note to watch part of the NEAFP team take a day from the mill and shear at Shelley & Chris's alpaca farm. Also covered in this Month's newsletter: Shearing on the Farm, Vermont Regional Fiber Collection Dates are Fast Approaching, Upcoming Alpaca Shows, NEAFP's 4th of July Summer Break, and more news from around our mill! NEAFP's office & mill will be closed for summer break. We will be closed Friday July 3rd and re-open Monday July 13th. This period will give us a chance to spend some quality time with family & friends and get ready to ramp up for another busy Fall and Winter season. During this period we will not be processing & shipping orders so please plan accordingly for upcoming events. All orders & support will be answered in the order they were submitted starting July 13th. 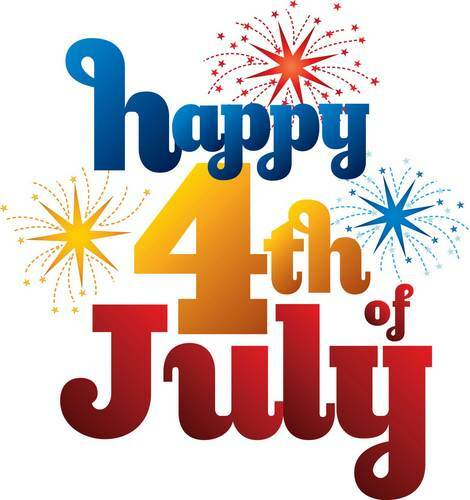 We hope you all have a wonderful, relaxing, and safe 4th of July! In the mean time be sure to check out our NEAFP Note archive & watch our latest NEAFP team shearing video on YouTube! 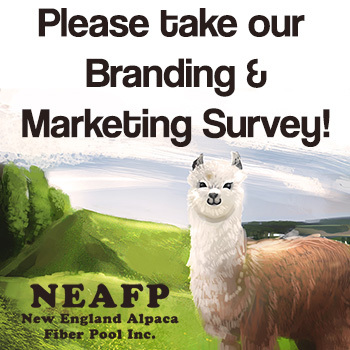 Today we are launching our first Alpaca Farm Survey focused on Branding & Marketing and would greatly appreciate it if everyone could take a moment to fill that out. It's only 17 questions and should take 3 to 4 minutes to complete. Alpaca farms are on the ground level, educating their communities on alpaca and the products they produce & we're looking for your vital input to help guide future branding & marketing decisions. NEAFP Video: How to start mailing fiber into the Fiber Bank! Watch our latest video on Compressing Fiber to reduce your shipping costs! Our Camo Cuff Hats are back in stock and ready to ship! It pains us to let everyone know we will not be in attendance @ the Southern Select Show in Tennessee this weekend. On the way to the show yesterday our truck's differential broke down in Maryland and will be there until Thursday of next week getting repaired. We apologize greatly to everyone this has affected. All orders that were meant to be delivered to the show will ship out for free on Monday. We hope everyone had a safe travel day in the weather to the show and makes it home safely at the end of the weekend! 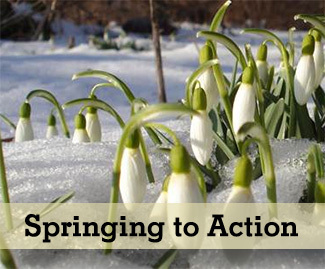 NEAFP speaking @ SEMAP Ag & Food Conference 3/1/2015! We are pleased to announce we will be part of a workshop and panel at the upcoming SEMAP Ag and Food Conference this Sunday, March 1st in Dighton, MA. We will be discussing the fiber pool, the U.S. alpaca industry, and the growth of natural fibers and U.S. textile manufacturing over the last decade. For a full run down on all the workships being offered, a schedule of events, and to register and attend head to SEMAP's event webpage! 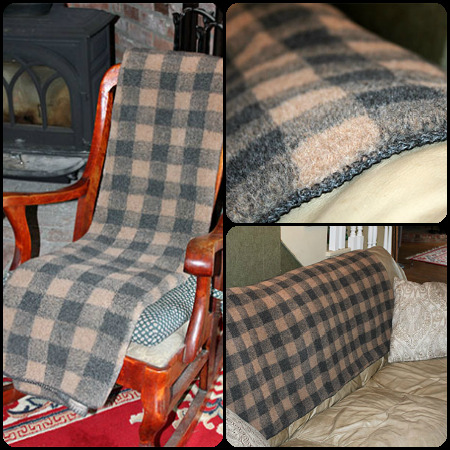 Alpaca Fleece Throw back in stock! We have shoveled out from underneath all this beautiful snow and have finished our next round of Alpaca Fleece Throws. They are back in stock and can be ordered now! Jan. NEAFP Note: Bring on the Snow! 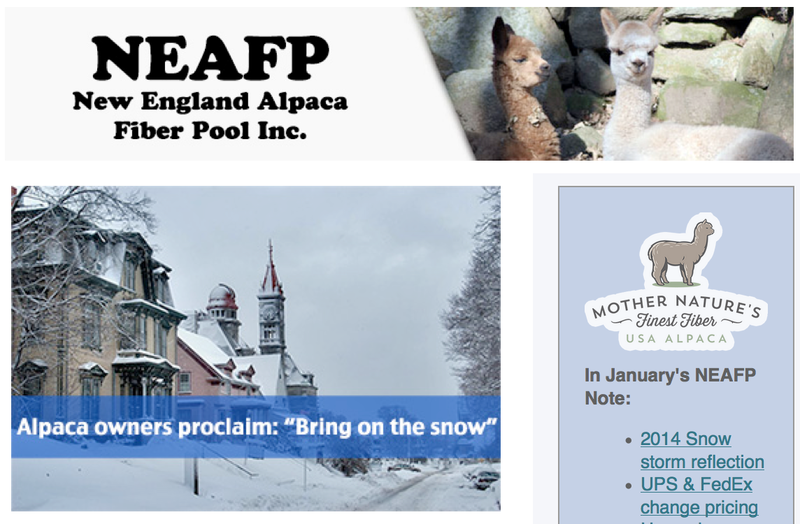 Click through to read our latest NEAFP Note: Bring on the Snow! Some positive Small Business Stories! We received 2+ feet of snow Monday night through Wednesday morning but are happy to report we are back open today 1/29/2015. We will be working through the orders that built up over the last few days and will begin shipping again today. 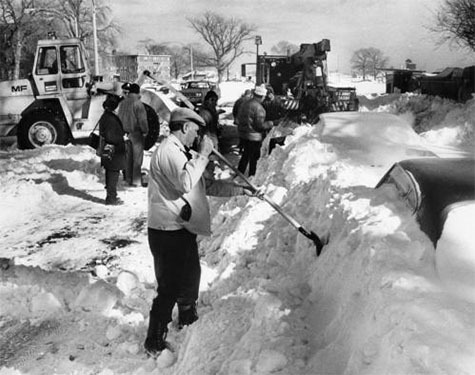 All of New England and much of New York are still under snow so there may be some shipping delays due to the storm. Thank you all for another record breaking year in fiber coming in and U.S. alpaca products going out to farms across the country. 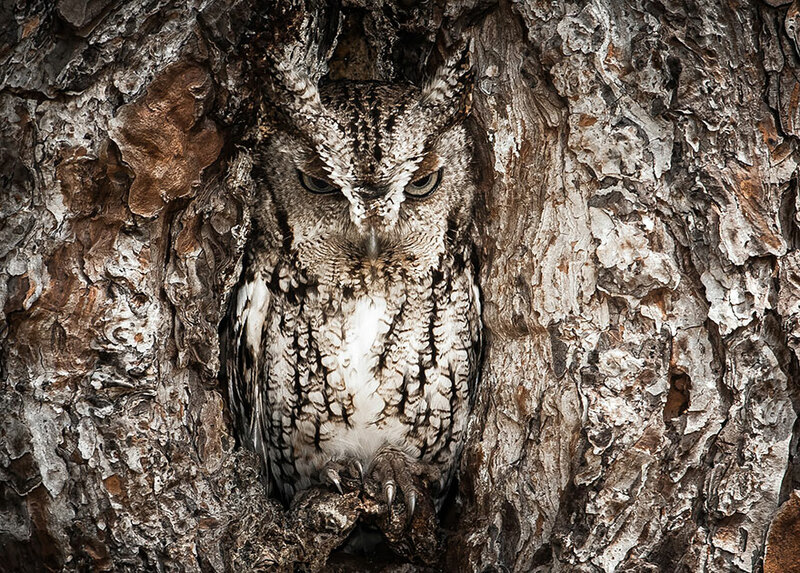 The year over year growth you're experiencing on the individual level is reverberating throughout the rest of the industry. We are very grateful for your support and look forward to growing with you in the years to come. & the entire NEAFP Team! Survival - Large back on website Our first batch of Survival Socks - Size Large arrived yesterday and are in the process of being finished and labeled now. They are back on the website and can be ordered. Socks on back order will begin shipping out this afternoon (12/17) in the order they were placed. New orders placed today will begin shipping out Thursday, 12/18 in chronological order. There is a very high demand for these socks and we will be working as fast as humanly possible to get them on their way to you. Please keep this in mind while placing your orders. As our initial shipment is limited, we may reduce the amount ordered for the next couple of days to ensure we can get these socks in as many farm's hands as possible. There are several more pallets on their way to us and our inventory will be back to normal by the beginning of next week. Sale has ended, Thank you! Our sale has ended. Thank you! Our Sale has ended, Thank you!